Only I know how jealous i have been of women who can get away with wearing a sports bra. Like thats the only support they need. And here I am, you can give me under wire, full-coverage, extra-support and its still not enough. And it gets even more crucial when I have to work-out (oh yes, I've started working out :)) Harness would have been my last resort but thankfully Triumph has come up with Triaction Sports Bra that just does what its supposed to. Offer great fit and support esp. during any kind of workout sessions, be it yoga, gym, cycling or boxing. Well designed, available in bright neon colors, these sports bras are a must-have for every woman who enjoys fitness. Whats also great about one of the styles in the collection is, its shaped exactly like a sports bra but has hooks at the back (like in a regular bra) for a better grip. In addition, the racer back style brings added stability. Also, despite having no underwires, it works just fine. 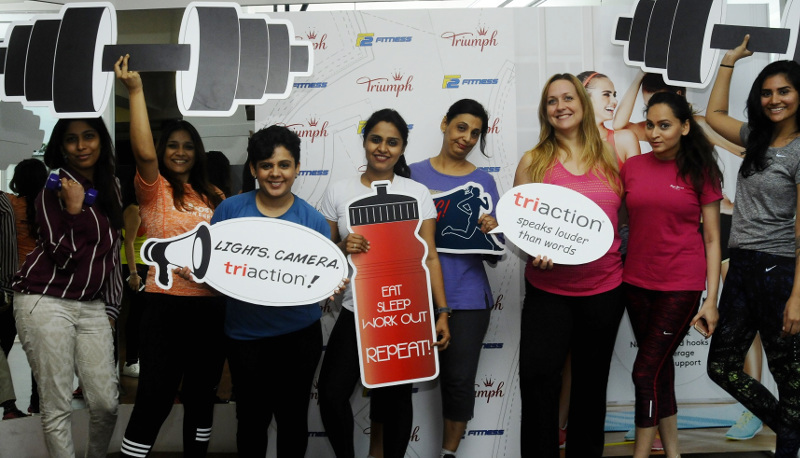 So last week, at the launch of the triaction sports bra collection, Triumph had organized a very interesting and engaging fitness session in collaboration with F2 Fitness, Bandra, where participants got an exclusive preview and a chance to try out the collection. 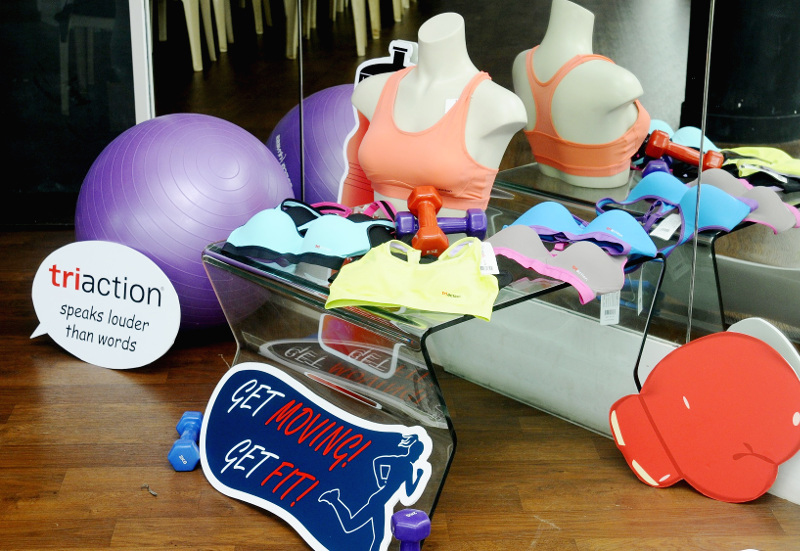 Present at the event were Mrs. Jennifer Kapasi, Head of Operations, Triumph International (India) who kicked off the event with an intro about how to 'Find the One' sports bra that matches your body type and fitness goals. Next, F2 Fitness co-founders Farah Vohra and Neville Almedia amped up the energy levels by giving the participatns a glimpse into their internationally certified Le Mills TM classes. Had a great evening. Triumph sure knows how to throw fun parties. So, all you ladies, with fitness goals, these bras are a perfect buy this season. Go for it!